Completa las frases con un verbo en Past Continuous. What ____________ Jane ____________ at ten o’clock yesterday? 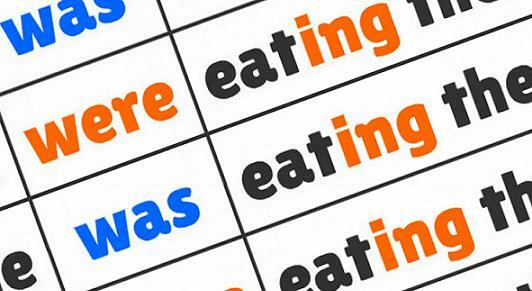 Completa las frases poniendo los verbos en Past Simple o Past Continuous. _______ you _________ very loudly when they __________ you to be quiet? (talk, tell). When I _____________ the dictionary, they _____________ it from me. (not use, borrow). Espero que os hayan resultado útiles estos ejercicios de Past Continuous, y su contraste con el Past Simple. Me interesa mucho que no os quedéis con dudas por el camino, así que si tenéis problemas con los ejercicios, decídmelo y trataré de aclararlos lo mejor que pueda. It was snowing when I looked through the window. She met George when they were studying at university. I was having breakfast when the telephone rang. They were looking for the key when I saw it. She was wearing a lovely dress when I saw her at the party. Nota: El verbo wear se utiliza normalmente en forma continua en inglés, mientras que en español no es así. Veamos otro ejemplo: I am wearing a tie today / Yo llevo corbata hoy. What were you doing when I saw you the other day? She wasn’t painting the house when I arrived. You weren’t studying when I came into your room. He heard the news when he was cooking their dinner. What was Jane doing at ten o’clock yesterday? When you saw me, I was eating an orange. She found a good job when she was living in New York. Were you talking very loudly when they told you to be quiet? When I took the bus, it was raining. The thief stole my wallet when I was not looking. I was cleaning the window glass when it broke. When I wasn’t using the dictionary, they borrowed it from me. Were you doing anything important when I phoned you yesterday? Joanne was reading the newspaper when the doctor arrived. Michael and I were preparing everything for the picnic when it started to rain. Espero que os hayan resultado útiles estos ejercicios de Past Continuous resueltos.